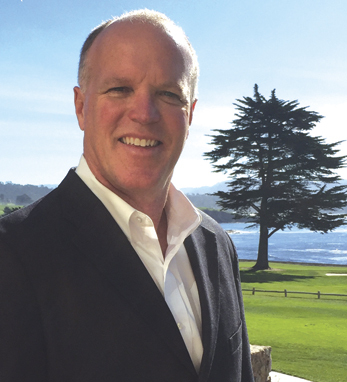 Tim Ryan is chairman, Corporate Sales for the 2019 U.S. Open Championship at Pebble Beach and is a member of the championships’ executive planning committee. Tim joined the Pebble Beach Company in 1990 from Princess Hotels. Previously he worked at Westin Hotels and American Express Travel Services in sales and event management. In addition to his role with the 2019 U.S. Open, he serves as vice president of Sales and Global Business Development for the Pebble Beach Company. A New Jersey native, Tim’s Irish roots are in Limerick. He holds a B.S. in business administration from the Sigmund Weiss School of Business at Susquehanna University. He is on the advisory boards of Great Golf Resorts of the World and California Polytechnic State University school of Experiential Management.